Anthony Caro is credited with reinventing the look of British sculpture in the 1960s. His distinctive achievement was to eliminate the traditional pedestal and create works that aggressively occupy the viewer's space. In the winter of 1972–73 Caro was invited to work at the Ripamonte Factory in Veduggio, Italy. Famous for his prodigious output, the artist, with the help of his assistant, turned out twelve sculptures in ten days. At the factory Caro found a quantity of irregularly shaped steel scraps. He arranged these components into relatively basic planar configurations and secured them to bases with simple joints. 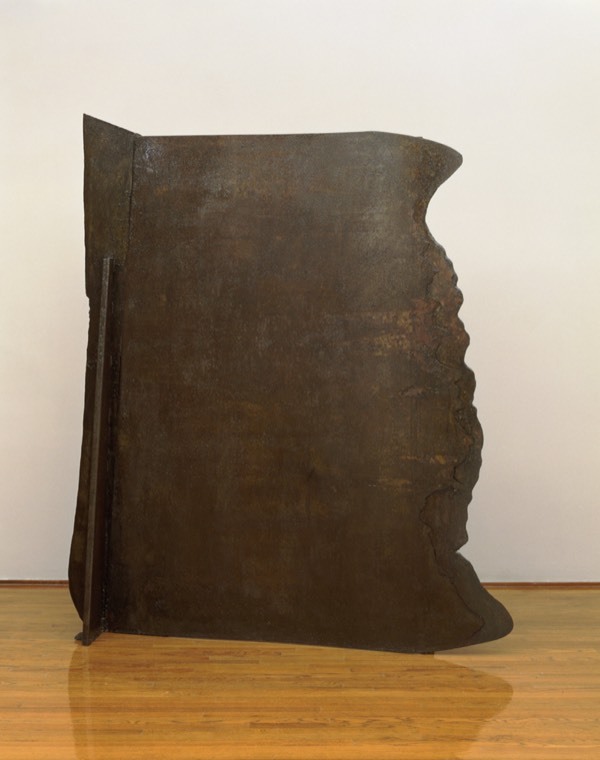 In many of these works, the naturally contoured sheets of steel are presented vertically. As upright forms, these sculptures alter the viewer's relationship from observing to being confronted. Stylistically, the Veduggio sculptures are a radical departure from Caro's earlier work, which is characterized by geometric planes that jut into space at all angles. The unusual, melting forms of the Veduggio sculptures border on the organic or biomorphic. They suggest objects such as mirrors and gateways as well as abstract paintings. Finding the unfinished edges of the steel sheets uniquely expressive, Caro left their surfaces unpainted, protected only by a thin coat of varnish; thus he amplified the visual and physical properties of the unfinished steel, increasing the physical engagement between the viewer and the sculpture. 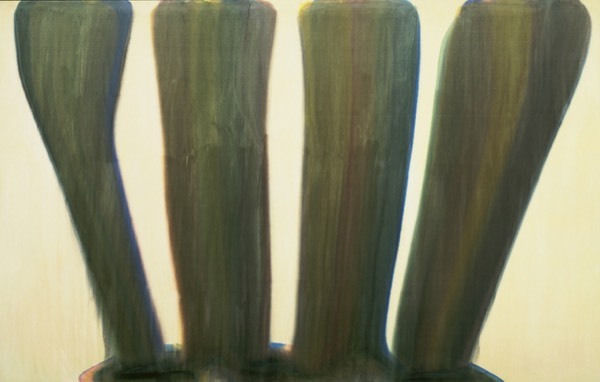 The Akron Art Museum received Veduggio Wash as a gift in 1991 from Mary S. and Louis S. Myers,who appreciated the contrast offered by Minimalist sculptures by Donald Judd and Sol LeWitt that were already in the collection. The addition of Richard Deacon’s Cover soon after allowed the Museum excellent representation of work by two generations of contemporary British sculptors. American, born 1912, Baltimore, Maryland; died 1962, Washington, D.C.
91 ½ x 142 5/8 in.